Pierre Chandon étudie les effets de l'environnement, notamment le marketing, sur les comportements alimentaires. Outre l'INSEAD, il été professeur, ou professeur visitant, à Harvard Business School, Wharton, Northwestern, University of North Carolina et London Business School. 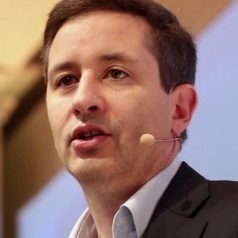 Pierre Chandon is the L’Oréal Chaired Professor of Marketing, Innovation and Creativity at INSEAD and the Director of the INSEAD Sorbonne University Behavioral Lab. He has been faculty or visiting faculty at London Business School, Kellogg, Wharton, and Harvard Business School. He studies innovative food marketing solutions—particularly package and portion design— to improve consumer health and wellness while preserving business growth and eating enjoyment. He is a member of the External Scientific Advisory Council on Health and Wellness of the Consumer Goods Forum.